Autism is a pervasive developmental disability that is usually diagnosed in the first three years of life. This neurological disorder disrupts typical development and impairs social and communication skills. Persons with autism often have difficultly with verbal and non-verbal communication, social interaction, motor skills, appropriate play, and adaptive skills. Autism is a spectrum disorder, meaning that all persons are affected in different ways and to different degrees. Current CDC statistics state that autism affects 1 in 54 children and is four times more common in boys than it is in girls. Decades of research have shown that intensive early intervention can significantly improve the functioning of children with autism. Applied Behavioral Analysis (ABA) is an intervention supported by empirical evidence of its effectiveness. (For more research on the effectiveness of ABA, visit Autism Partnership.) Despite the disruption of learning processes in children with autism, the principles of ABA can be used to effectively treat children with autism. ABA is a systematic approach to assessing behavior and the application of interventions to change that behavior. This approach works to increase functional and appropriate behaviors while decreasing inappropriate or maladaptive behaviors. ABA techniques involve: breaking skills into smaller parts, teaching one sub skill at a time, providing concentrated teaching, providing prompting and prompt fading to maximize learning, and utilizing reinforcement procedures. Although many techniques are used as part of treatment, the primary instructional theory is discrete trial teaching. This method is used with all skills and activities. The basic premise is that all behavior occurs because of what happens immediately before the behavior (the antecedent) and what follows afterwards (the consequence). Each sequence of an antecedent, behavior, and consequence is considered a trial. 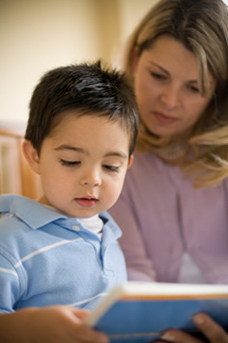 By using this method, the child gets immediate and constant feedback for their responses and behavior. This maximizes learning and allows the child to receive feedback for both correct and incorrect responses and behaviors. Over time ABA has evolved to include a greater emphasis on increasing verbal behavior and spontaneity of language. There is also a focus on more quickly generalizing skills to all environments and teaching in a natural setting. As the child progresses through the program, ABA-VB instructors begin to use more natural language, materials, and environments.